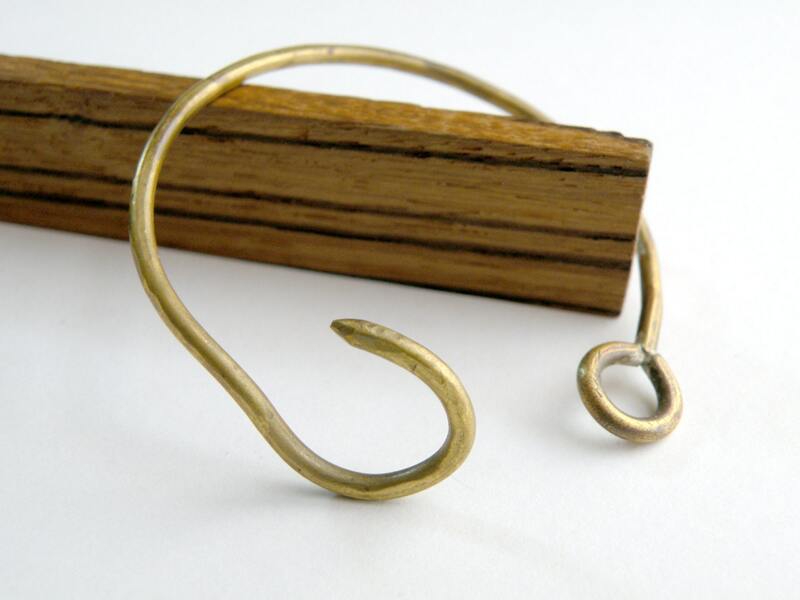 I carefully hand cut, form, and solder beautiful yellow brass to create a unique hook bracelet. 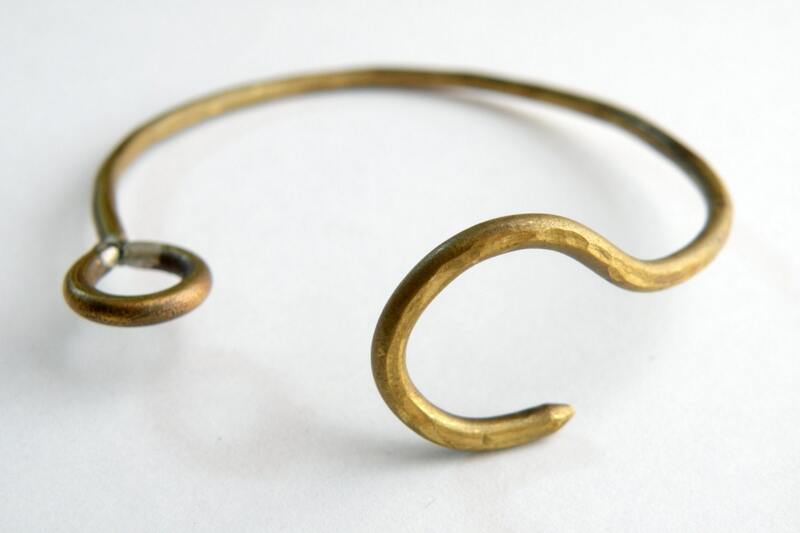 I can also make this in silver, copper, or gold. 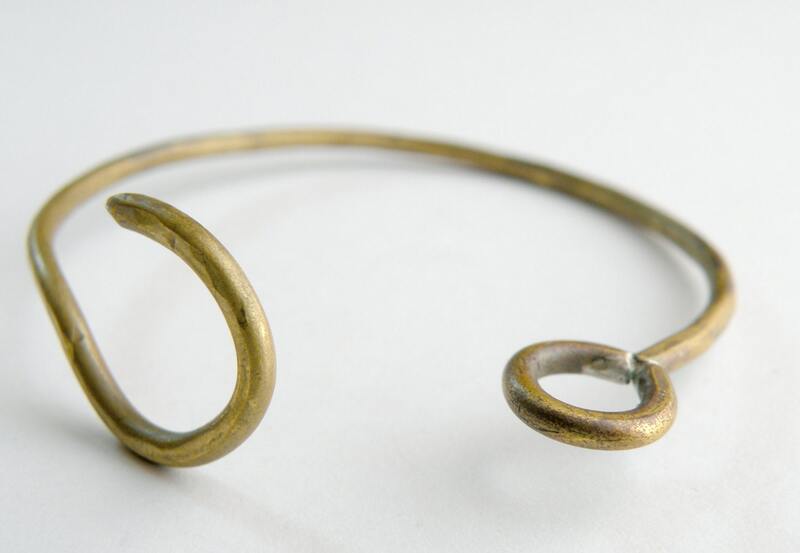 The bracelet has some slight flex to slip over your hand. If you need larger or smaller I am happy to accommodate, just let me know! I invest great care in every piece. 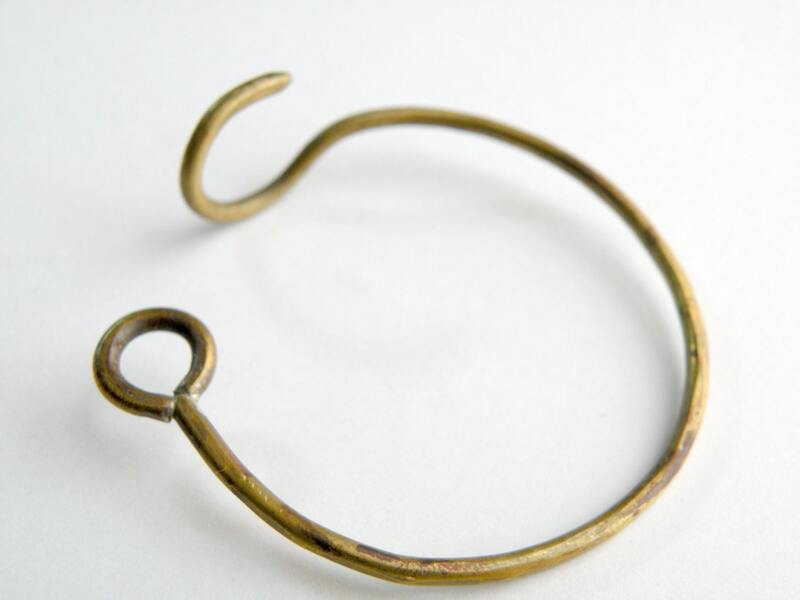 You can expect your bracelet to closely resemble the one pictured, However, all pieces are made by hand one at a time, so expect yours to have it's own unique but beautiful idiosyncrasies. I'm happy to make any changes as specified. Please allow up to 2 weeks for your item to leave my shop, although I have most orders out the door in 1 week or less. If you need it quick just let me know!